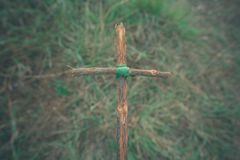 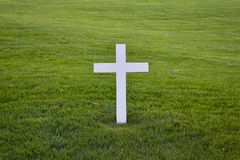 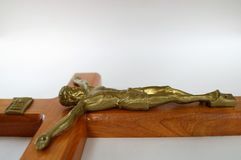 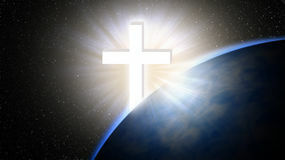 Jesus Christ cross. 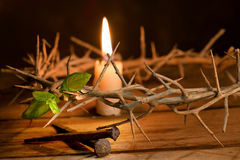 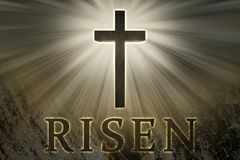 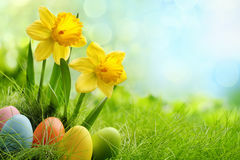 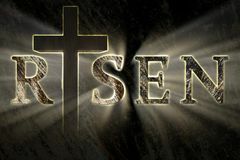 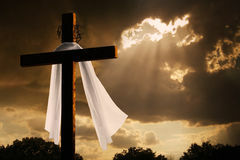 Easter, Good Friday concept. 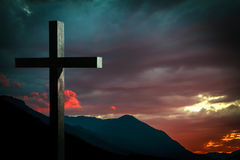 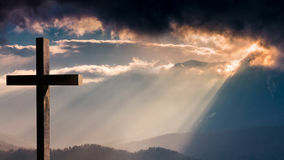 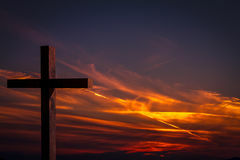 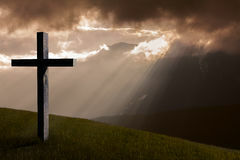 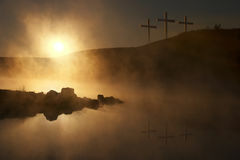 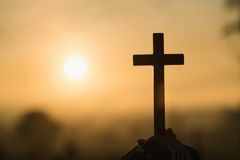 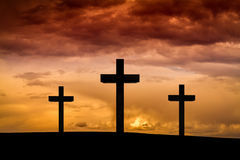 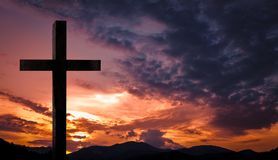 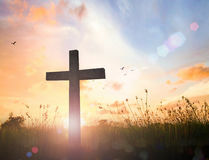 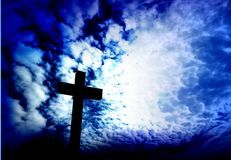 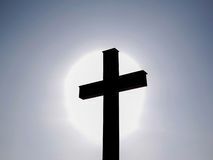 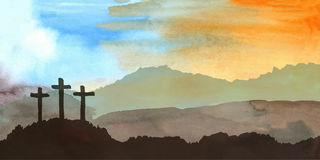 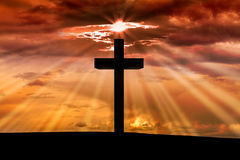 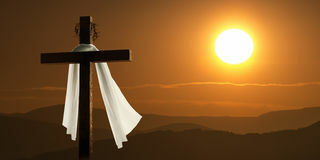 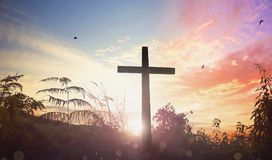 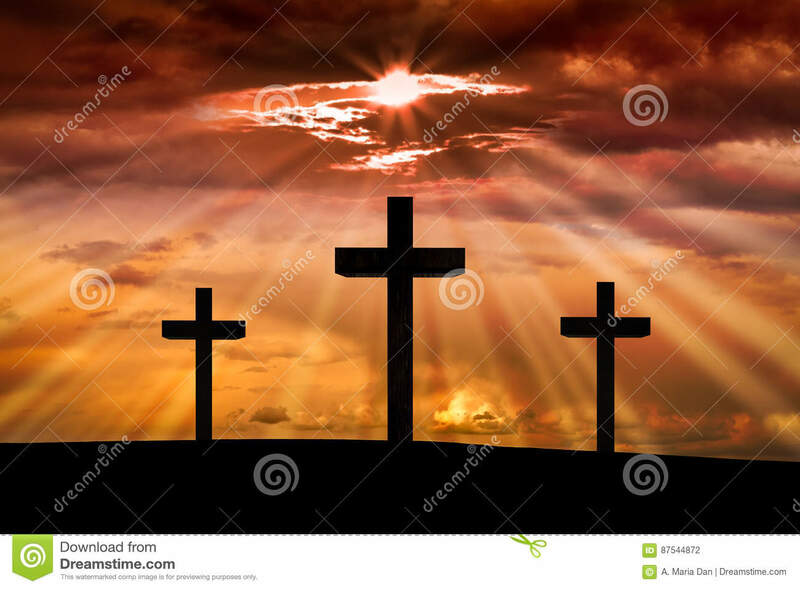 Jesus Christ cross on a background with dramatic sky, lighting, colorful red, orange sunset, dark clouds, sunbeams, sun rays glowing behind the three wooden crosses on Golgotha mountain.Easter, resurrection, Good Friday concept.